A lovely 18" foil balloon in the pretty one-derful girl theme. 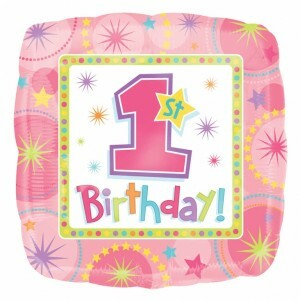 Balloons are a must have for any birthday party and a special 1st birthday is no exception. Requires helium filling.